Any garage or storage building should compliment the clients home or property. Whether it be vinyl, steel, brick, or stone; Timberline will incorporate the design to accommodate any homeowner's needs and taste. Pole buildings are also utilized commercially as a place of business and work. Whether you need a building for your workshop or business; Timberline is able to design and build to accommodate your needs. We as a custom pole builder specialize in the construction of many different types of equestrian and agricultrual buildings. From small mini-farm buildings and agricultural storage to large outdoor arenas; Timberline can design and build to fit any clients needs! CUSTOM BUILT TO FIT YOUR NEEDS! Feel free to contact us today to get more information about our Pole Building services. 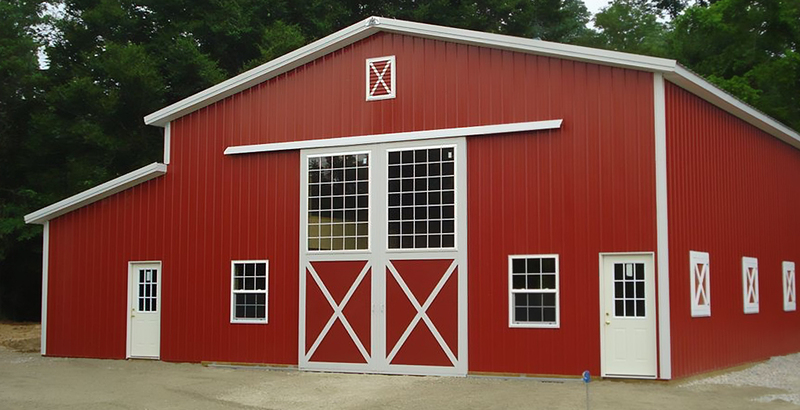 Timberline Buildings have been creating pole buildings, pole barns, equine buildings, agricultural buildings, garages, shelters, storage and commercial buildings throughout Central Ohio, Southern Ohio, Eastern Indiana, and Northern Kentucky since 1982. 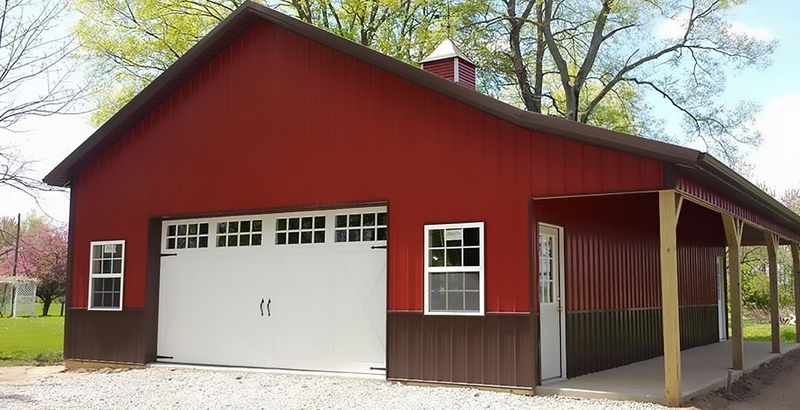 "We chose Timberline to build our 24x40 pole barn and it was the best decision we ever made. Ken and Jesse were a pleasure to work with! Being new to this process, they answered all of our questions and helped us make decisions that delivered a top quality building that we are proud of! Call Ken and Jesse today, and you'll understand our comments!" "Timberlines service & vendors were outstanding in quality, service, & pricing. Kens vast knowldage & experience helped me with the decisions I needed to make. Many builders are distant & act vague on advice & changes. When I asked about putting in a window not in contract, Ken offered a fair price & it was done the next day- no grumbling or putting it off. My building is awesome & I love it." 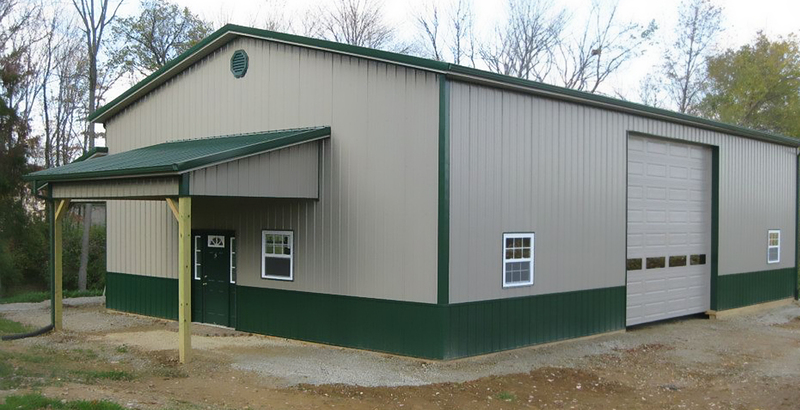 "Timberline Buildings built a 36x72 12 stall horse barn with tack and feed rooms. Timberline also resided the utility barn to match the horse barn as well as building two run-in shelters and an out-building for our trailers. Timberline was professional and built the buildings in a timely fashion. Timberline is also helpful with the design of the buildings, if needed." 37 Years building pole buildings locally. Established in 1982 by Ken McKeehan. Timberline is now operated by Ken and his son, Jesse, continuing a local family owned business. Timberline has erected pole buildings, residential and commercial, throughout Central Ohio, Southern Ohio, Eastern Indiana, and Northern Kentucky.